Is Untested Third-Party Code Threatening Your Business? 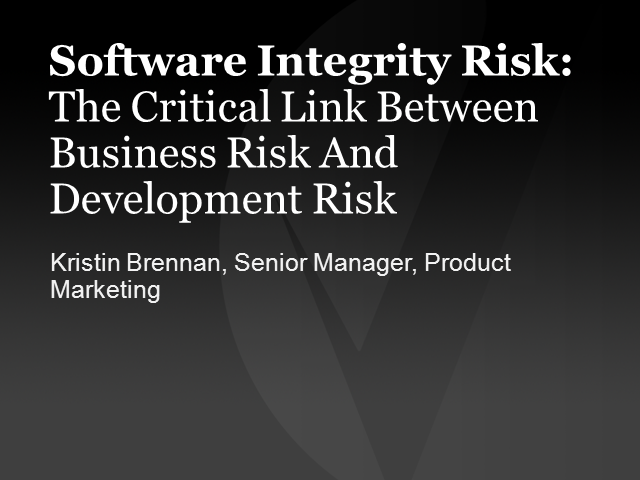 The recently released Forrester Consulting Software Integrity Risk Report reveals that 56% of third-party code is untested for quality and security in development – an alarming statistic given that over 90% of you are using third party code. Join this live webcast presented by Chenxi Wang from Forrester Research who will reveal the key findings of the study and specific steps you can take to reduce the risk of these threats to your business. •The impact of software defects on business goals and developer accountability. •The role of security in the software development lifecycle. •Strategies for testing third-party code with the same rigor as internally developed code. Title: Is Untested Third-Party Code Threatening Your Business?